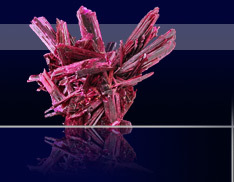 Błyszczące kryształy cerusytu na matrixie. 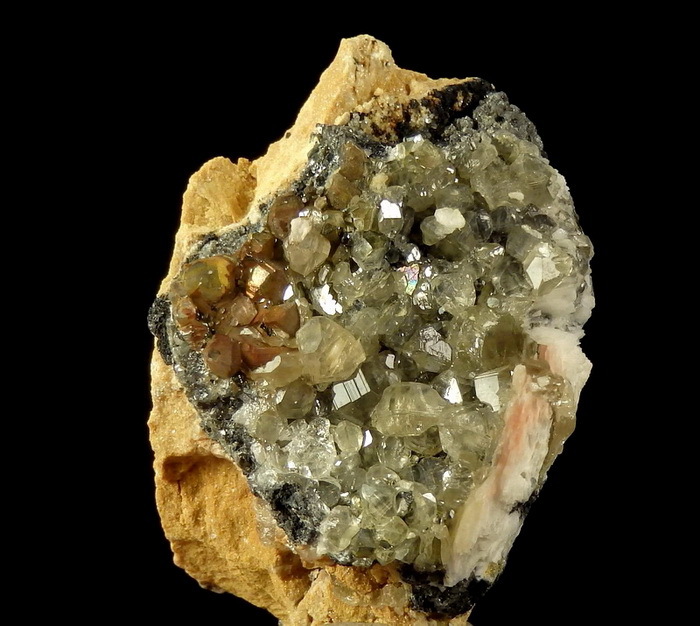 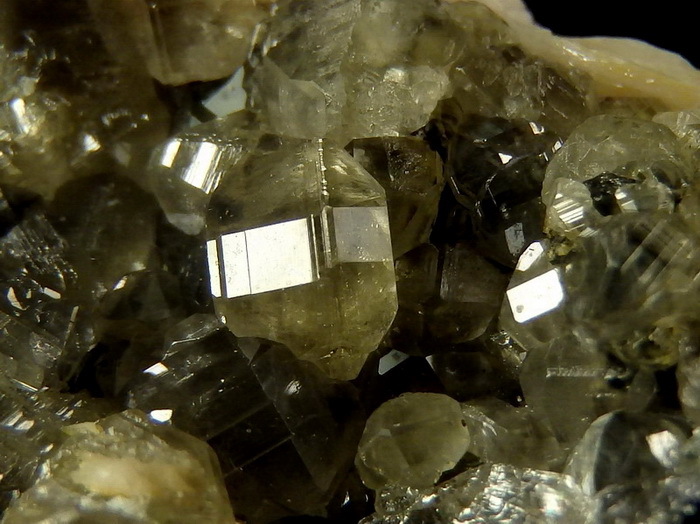 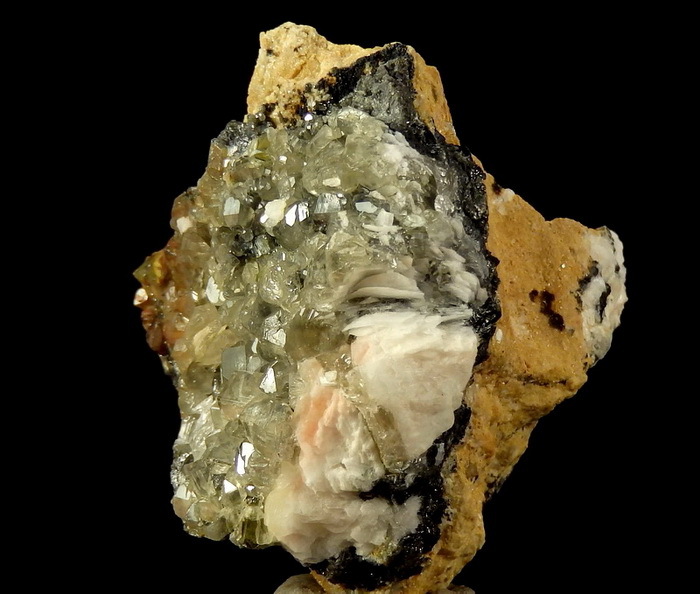 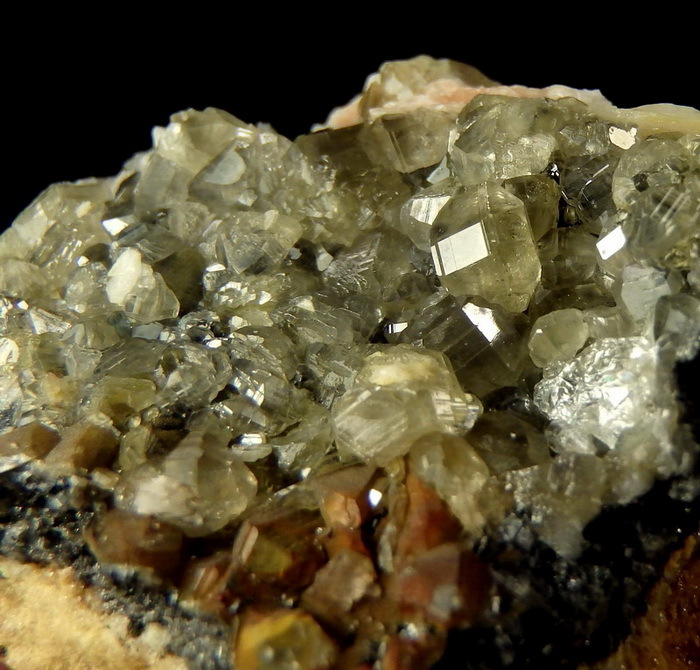 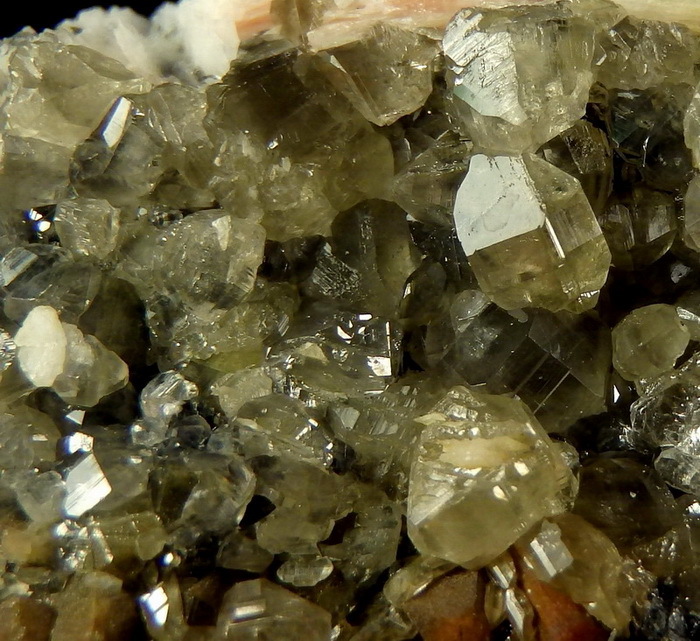 Lustrous crystals of cerussite on matrix from classic locality. 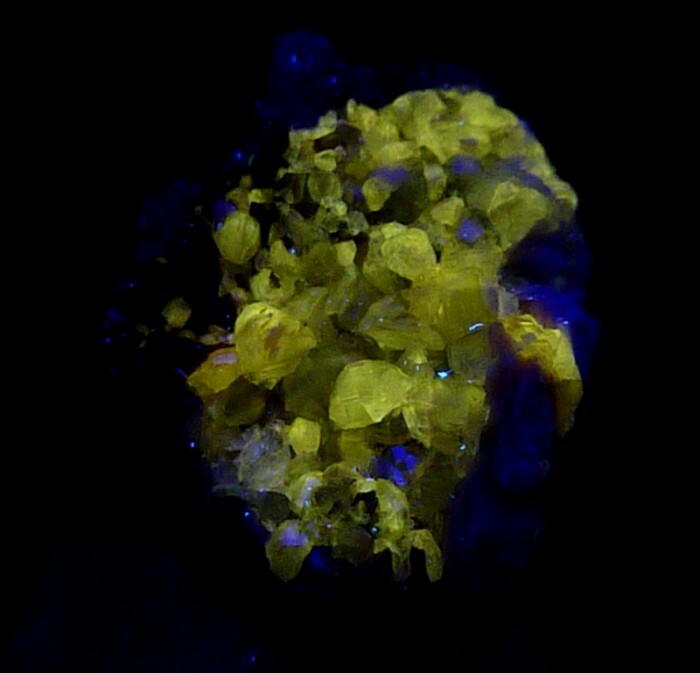 FLUORESCENT (cerussite) in long wave UV light.